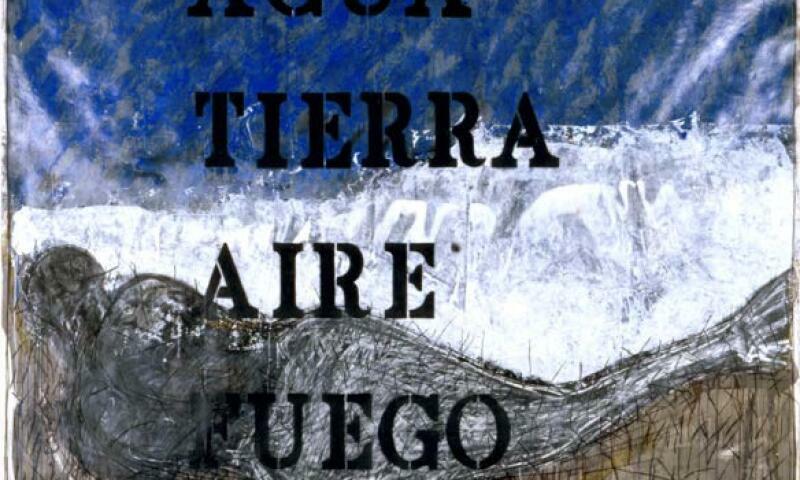 Ismael Frigerio, Las necedidades (agua) [The Needs (Water)], 1984, acrylic, tempera, and spray paint with charcoal on wove paper, 92 1/16 x 107 9/16 in. Words/Matter is drawn primarily from the Blanton’s extensive collection of Latin American art. The collection began in 1963, when the museum’s first director established a collecting priority that identified contemporary art from both North and South America. Since then, the Blanton has continued to focus on collecting, researching, and exhibiting Latin American art. In 1988, it was the first museum in the US to establish a curatorial position devoted to this field. The collection now includes 2,500 works of modern and contemporary painting, prints, drawing, conceptual art, installation, video, and sculpture.